Somaliland President Ahmed Mohammed Mohamud Silanyo flew out on Friday to attend the meeting in London, where issues relevant to the regions will be discussed by representatives from 45 States. The President H.E. Ahmed Mohammed Mohamud Silanyo jetted out of the country on Friday [17 February 2012] to attend the much talked-about Cameron assembly now dubbed the Somali London meeting. “We pray and hope that we will achieve our endeavours and be triumphant”, said the President at the airport VIP lounge. He said that after much outcry, consultative meetings from different quarters were held and that the general concessus was that it was for the interest of Somaliland to attend the meeting. “Dignitaries are drawn from 45 countries for the occasion which would focus on the issues with impact of this region”, said the President. He added, “It is on that platform that we would re-affirm our steadfastness as an independent entity”. The Head of State said that his administration was keen on uprooting and fighting against corruption. In apparent reference to Kulmiye Deputy Chief Abdikadir’s claims of alleged rampant corruption in the country, the President retorted that wayward individuals with inclined personal whims would aimlessly disgruntle hence added that it was incumbent upon responsible people to tolerate such outbursts. The President would briefly sojourn in Nairobi before departing to UK where another SL delegation led by Hon. Ahmed Habsade is waiting. The first batch left a few days ago through the Wajale border town bound for the Ethiopian capital Addis Ababa enroute to London. This batch of conference delegates that pools its membership from various institutions is headed by Ahmed Abdi Habsade the information minister. Other members of the group include, the minister of livestock development Dr. Abdi Aw Dahir, Parliamentarians Haji Abdi Yusuf “Abdi-Warabe” (Guurti), Abdilahi Ibrahim Hirsi “Dugat” (Guurti), Ali Sheikh Ibrahim Areye (House of representatives), and the leaders of the three national political parties being Musa Bihi-Kulmiye, Feisal Ali Warabe –UCID and Ahmed Yusuf Yassin-UDUB. Regardless of international pressure fronted by the UK & USA governments, Somaliland’s participation in the London conference after prolonged soul-searching that extended to the president soliciting the opinion of citizens who were original divided on the issue. The support needed by president Silanyo come via political parties, parliament (Elders & MPs) as well as traditional leaders. 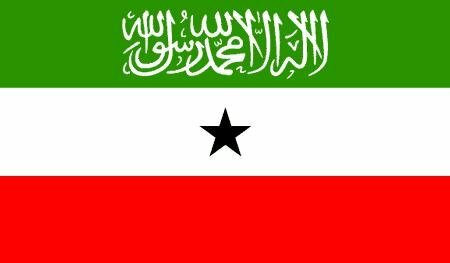 It now remains to be seen what the conference shall brew for Somaliland considering that most of the issues on the agenda are entirely related to Somalia a country that has known nothing but bloodshed, hunger, and terrorism etc. for the last 2 decades. The information minister informed the nation at wajale border town via where the delegates are travelling on road to Addis Ababa to link with others that it was a honor for the country to be availed this opportunity to address the world on issues related to over 20 years quest for recognition as a sovereign nation.